LA TRINIDAD, Benguet – The National Irrigation Administration-Cordillera Administrative Region’s (NIA-CAR) Swamp Pump Irrigation Project (PIP) in the La Trinidad’s Strawberry Fields is currently undergoing pump testing before being formally turned over to the beneficiaries. According to Engr. Godofredo Velaque, Provincial Head of NIA-Benguet Satellite Office, the project will be utilized by the farmer beneficiaries as soon as the pump testing is done and the safety and cleanliness of the water is assured. The said project’s first phase includes the establishment of groundwater irrigation system which comprises installation of pipelines and construction of structures to irrigate an area of three hectares. Velaque added that more hectares will be benefited once the second phase of the project will be implemented but this is programmed for later years. The remaining proposed activities of the project include the installation of reservoir and mainline to completely irrigate the whole target area of seven hectares. He said that there are at least four tanks, GI tanks and deep well programmed to be built if the second phase of the project will be funded. SWAMP PIP, once finally operational, will benefit families of five females and 32 males. When Velaque was asked regarding the status of the deep well during summer, he answered that the quantity of the water supply is low but there is still water coming from it. In an interview with Mr. Stanley Beskew, one of the farmers working in the Strawberry Field and one of the beneficiaries, he said that the pump project will help them especially in times of water crisis. “Mayat ta adda ti usaren mi karkaro tatta nga summer nga makurangan kami ti pangsibog ti mula mi ken maysa pay ket ammo mi nga nalinis nga mausar” Beskew said. He added that the project will also help boost the tourism of La Trinidad since the area is frequented by tourists. 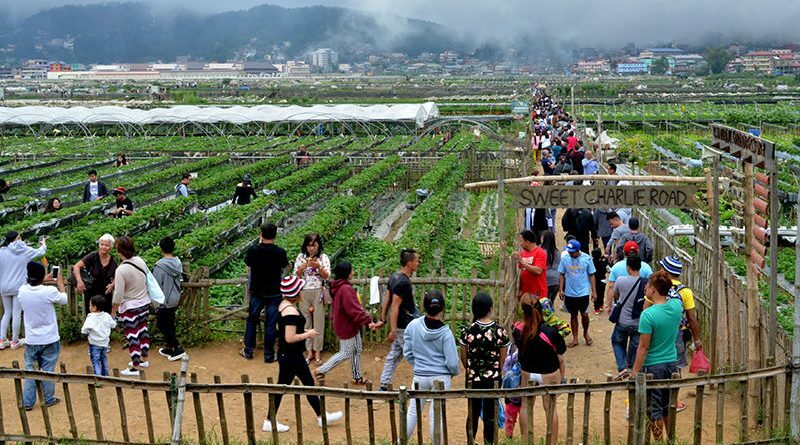 Aside from the Swamp PIP, NIA-Benguet Satellite Office has recently also undertaken rehabilitation of the Benguet State University (BSU) pump irrigation system that is also located in the Strawberry Fields.